Credit and credit risk permeates every corner of the financial world. Previously credit tended to be acknowledged only when dealing with counterparty credit risk, high-yield debt or credit-linked derivatives, now it affects all things, including such fundamental concepts as assessing the present value of a future cash flow. The purpose of this book is to analyze credit from the beginning—the point at which any borrowing entity (sovereign, corporate, etc.) decides to raise capital through its treasury operation. 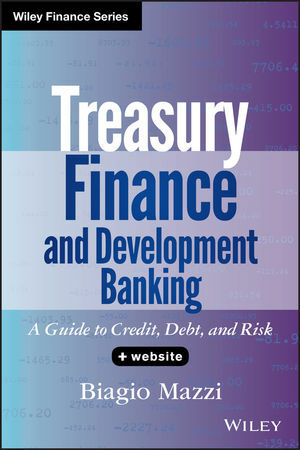 To describe the debt management activity, the book presents examples from the development banking world which not only presents a clearer banking structure but in addition sits at the intersection of many topical issues (multi-lateral agencies, quasi-governmental entities, Emerging Markets, shrinking pool of AAA borrowers, etc.). BIAGIO MAZZI, PHD, is a Senior Financial Officer on the Structured Notes Desk in the World Bank Treasury. Prior to the World Bank, Biago Mazzi was a Vice President at Morgan Stanley, where he was responsible for modeling exotic credit derivatives on the Emerging Markets Desk. Before working in fixed income, he was an equity derivatives quant at Barclays Capital and Banca Caboto. He holds a PhD in theoretical physics from the University of Cambridge.